Kicking off their energetic gig in Shanghai on August 30, the YG Family drew excited screams and cheers from the 35,000-strong crowd. The opening, brought by 4-membered girl group 2NE1, was a definite crowd-pleaser. They heated up the atmosphere with a string of catchy songs – Crush; Fire; Come Back Home; Gotta Be You. Not leaving fans with any time for break, popular Hip-hop group Epik High wowed the audience with two of their titled songs – With You and Love Love Love. YG’s newest boy-band WINNER followed the steps of their seniors and continued to charm the crowd. Fans who are familiar with the reality-survival program Who is Next: WIN, would be familiar with songs like Go Up and Smile Again. The group also performed their 1st album track, Empty. BIGBANG soon lifted the atmosphere to its highest when they appeared dressed in outstanding gold outfits. 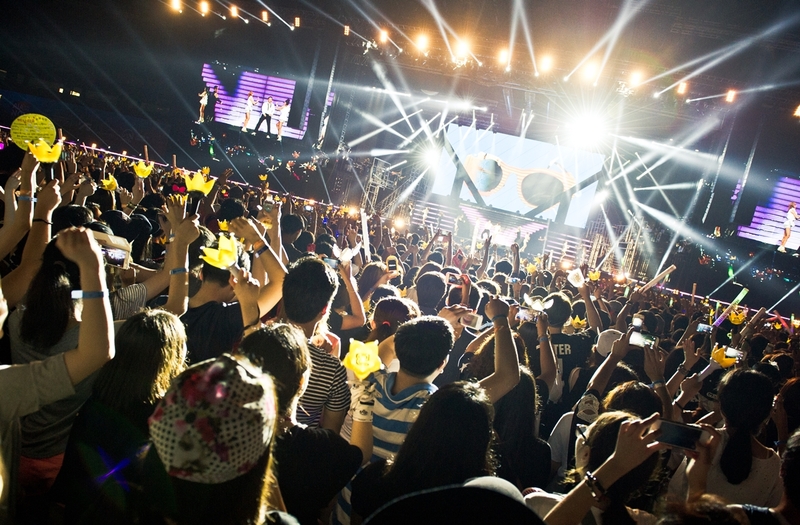 Fans were enthusiastically screaming and waving the signatured-fansticks with golden crowns. Singing along to every word, the fans and BIGBANG performed familiar fan favorites such as Haru Haru; Bad Boy, and Fantastic Baby. Of course, what is a YG Family Tour without their most highly-anticipated collaboration performances? YG Family continued to dish out performances that were nothing short of amazing. CL and G-Dragon transformed The Baddest Female into The Baddest Male, as well as performing MTBD, which both proved to be a hit with the fans. Seungri performed a comical rendition of G-Dragon’s solo, Crayon, and was evidently a success with its audience. In addition, WINNER’s leader Song Minho and Dara performed a cover of T.O.P’s Doom Da Da. Epik High and Taeyang sang to the popular Eyes, Nose, Lips. Just when the night couldn’t get any wilder, PSY continued to please the crowd with several of his global hits Gangnam Style; Right Now; Gentleman; Champion. The audience sang along to these catchy songs and it’s not uncommon to see fans dancing the well-known moves and grooving to the catchy beat. 2NE1 appeared on stage again and delivered spectacular performances of the much loved I Am The Best, as well as Scream and lastly, Can’t Nobody. Next in the line-up was BIGBANG, who performed Tonight; Feeling, Hands Up. Not forgetting their award-winning titles – Lies and Heaven, the popular boy-band left their fans hot under the collar. Shouting for encore, fans were not willing to leave without seeing more. Thus, the YG Family impressed with a curtain-call performance. Starting with 2NE1’s Go Away, followed by BIGBANG’s Fantastic Baby and finally, PSY’s Gangnam Style. Who is to say that the YG Family 2014 Galaxy Tour: Power in Shanghai did not end with a huge success? The YG Family has been known for their outstanding and powerful stage performances. Do not miss out in catching a glimpse of these superidols. The YG Family will be visiting Singapore on September 13 and 14. For those who have yet to buy your tickets for this upcoming event, what are you waiting for? There are still tickets available for both nights so grab your tickets now! Visit http://www.sportshub.com.sg/sportshubtix/Pages/YG-FAMILY-2014-GALAXY-TOUR-POWER-IN-SINGAPORE.aspx to purchase your tickets before its sold out! YG Family is coming to Singapore! 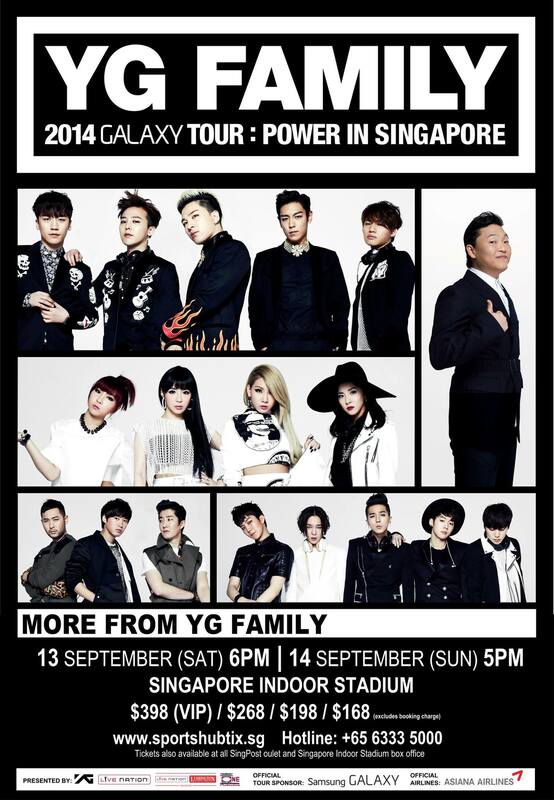 YG Family 2014 Galaxy Tour: Power in Singapore will be held at the Singapore Indoor Stadium on the 13th and 14th of September! 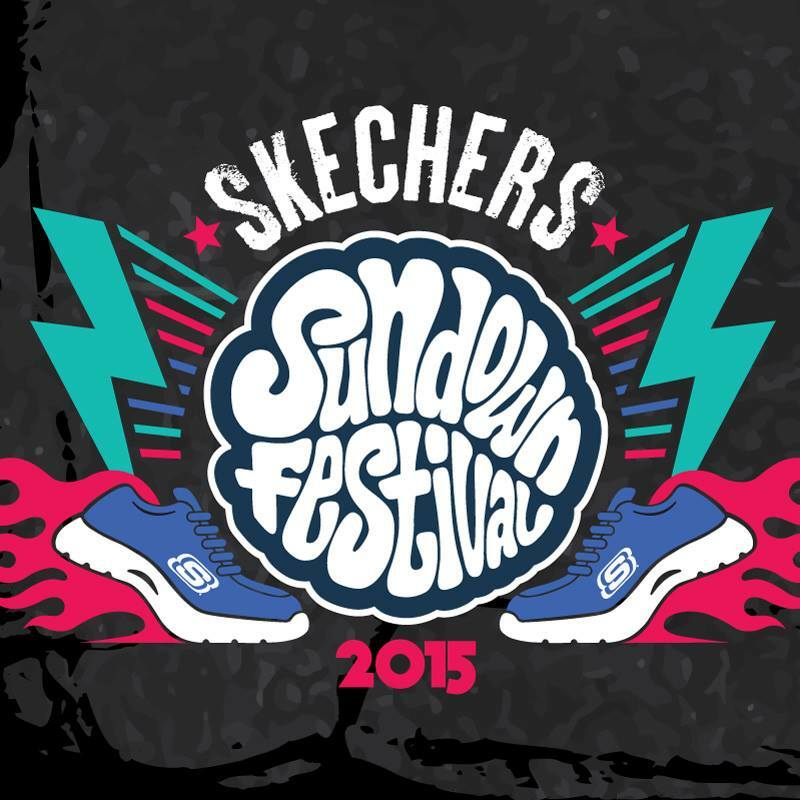 Tickets will be going on sale on 19th July 2014 (Sat) at 10am at all Sportshubtix channels.